This is the time of year I sit back and reflect over what I’ve achieved so far and how I’m going to go about doing better in the New Year. I don’t like to make New Year’s resolutions because that’s just not me. I prefer to come up with ideas and see how they flow. So far I’ve ticked off most of my goals and I’m thrilled with that. My books with my US publisher, Tule, are doing great. 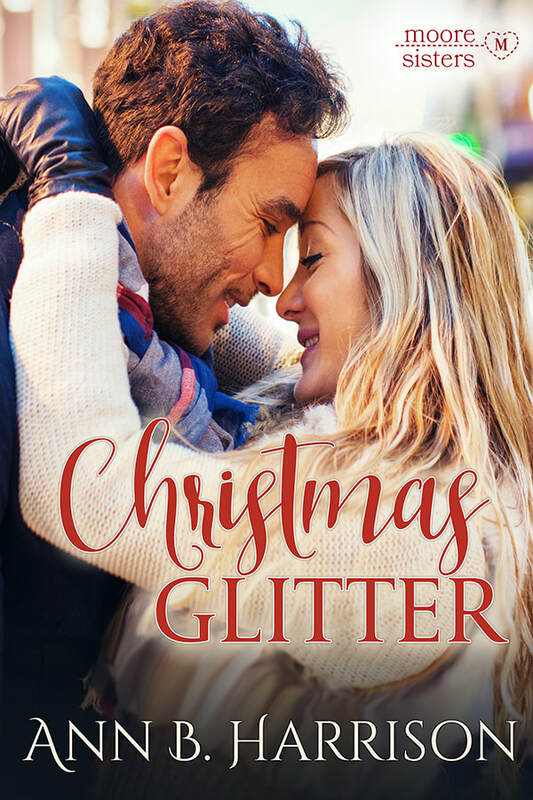 The Moore Sisters of Montana started with my first Christmas story, Christmas Glitter. That was a big bucket list tick for me. I’ve been wanting to tackle this story for ages and I can’t be more thrilled to share Dakota and Adam’s story with you all. Can you imagine writing about Christmas with snow and hot toddies and be sitting in my shorts with the air-conditioner on? I swear that one day I’ll have that white Christmas. Christmas is also the time I give thanks for what I have. Forty years ago in December I married the man who made my heart flutter wildly, my knees wobble like jelly and who made me feel safe and cherished. Gosh we were cute way back then. To celebrate we headed off for a weekend away and some quiet time. December is also when I pull out my cook books and decide what we’re having for Christmas Day. Last year I cooked the best ham ever and this year I’m doing it again. A lovely basting sauce of maple syrup and orange juice was such a hit with the family. And of course we can’t go past the mini pavlovas or nests filled with cream and fresh berries. Just as well I’ve been on a pre-Christmas diet! Now I just need to come up with some healthy salads to counteract the calories! I’ve also started another self-published series, Hope Harbor and the first book came out this month. Forever This Time was especially sweet to write. It’s about a love that never died even though both of the main characters moved on and tried to forget each other. These days is easy to walk away from a relationship when things go wrong and that’s exactly what April and Drew did in Forever This Time. Lucky for everyone involved, I gave them the chance to meet again and they took it from there. Fifteen years ago April Williams left Hope Harbor determined never to return and now she’s back searching for a safe haven for her children. But first she needs a job. And there’s only one—working for the man she walked out on. When it comes to a choice between her feelings and her children’s well-being it’s a no-brainer. April’s return does more than rock Drew Hope’s confidence – it throws everything he’s worked on these last years into chaos. Having her close brings back memories he can’t bury but there’s more to it than that. Something is troubling April and he’s determined to find out what it is. As a special Christmas treat, Ann is kindly giving away a copy of each book to one lucky AusRom reader! Simply fill in the form below AND for an extra chance to win, go to Ann’s website or Facebook page and sign up to her newsletter, a lucky winner will be chosen at random.